DCT Gdansk has finalized the tender process for the design and construction of a new berth and the adjacent container stacking yards. The winning bid came from the N.V. BESIX company. The BESIX Group is Belgium’s largest group operating in the construction of infrastructure, environmental projects and roads. N.V. BESIX is the BESIX Group’s biggest subsidiary. Among other projects, the BESIX Group carried out such big infrastructure and marine projects as: The Ras Laffan Port expansion in Qatar, the construction of quay walls and dredging in Sohar, Oman and in Port Amazone Rotterdam in the Netherlands as well as the expansion of the Belgian Port of Zeebrugge. As a joint venture member, N.V. BESIX was responsible for the modernization of the South Hook LNG Terminal in the United Kingdom. This project, worth over 250 million euros, consisted of the quay’s renovation and modernization, building a 200 meter long extension of the existing berth and the construction of new mooring and berthing facilities. In addition to the activities of BESIX and its other subsidiaries in Benelux and France, the Group is active in Europe, North and Central Africa, the Middle East, Central Asia and Australia. 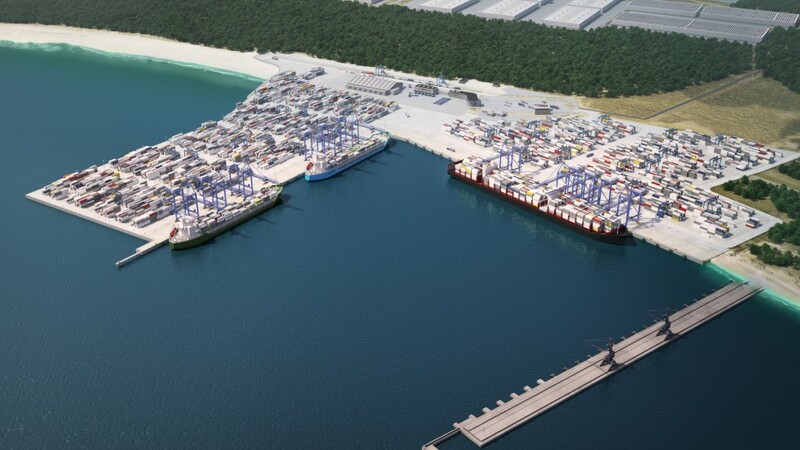 The new 650m long berth, which will be designed and constructed by the tender winner, will increase DCT’s annual handling capacity up to 3 million TEU in the first stage of the construction. The new terminal berth will be ready to operate in 2016. It will be equipped with 5 STS cranes, delivered by Liebherr Container Cranes Ltd., 16 RTG cranes and additional yard equipment.